I made these 2 possibles bags recently as gifts. Each had a small(neck) knife included. The knives are 2 of the 4 I recently posted in my post,"Forgery". 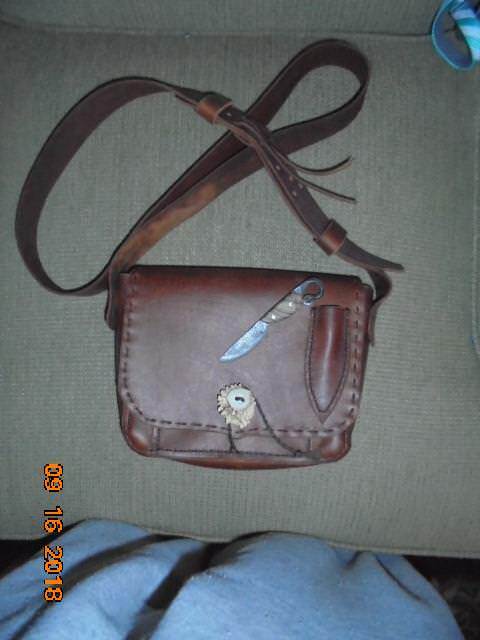 One bag has the knife sheath on the front flap. 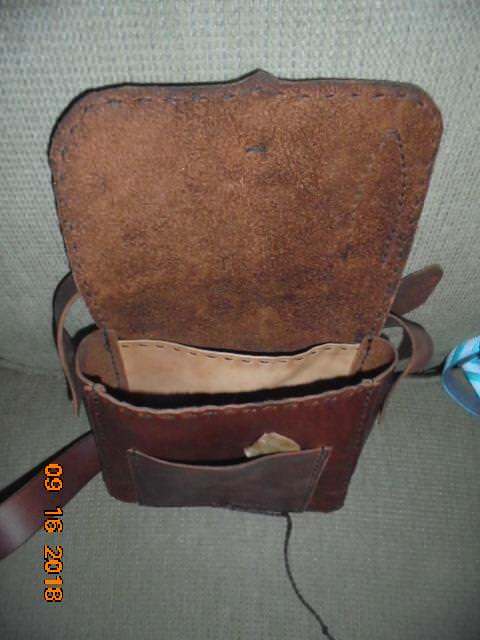 On the other, because of the natural edge I used for the flap I had to locate the knife sheath under the flap. The closures are deer antler with a reverse twist thong. 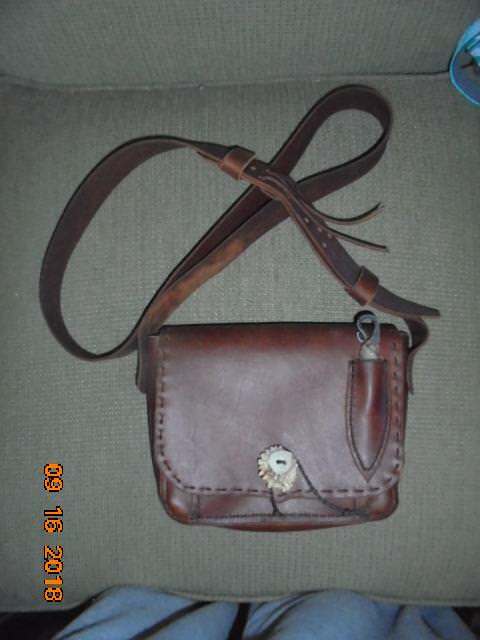 The inside of both bags are the same with the pocket in the rear and both have a flat front pocket, again a natural edge on the one with the natural edge front flap. How does a person go about getting on your gift list? 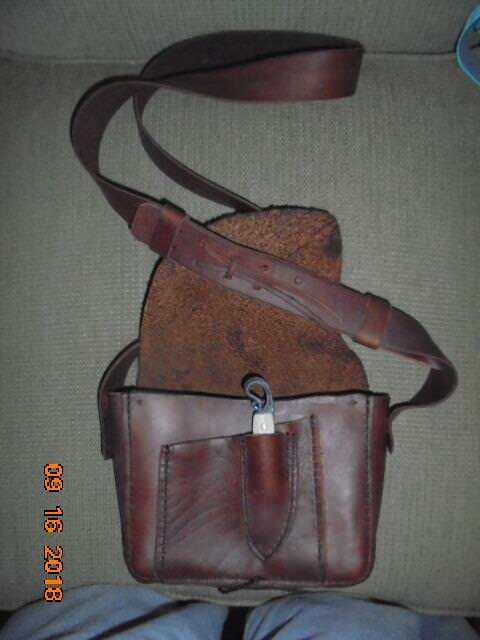 Very nice leather work there Pat. 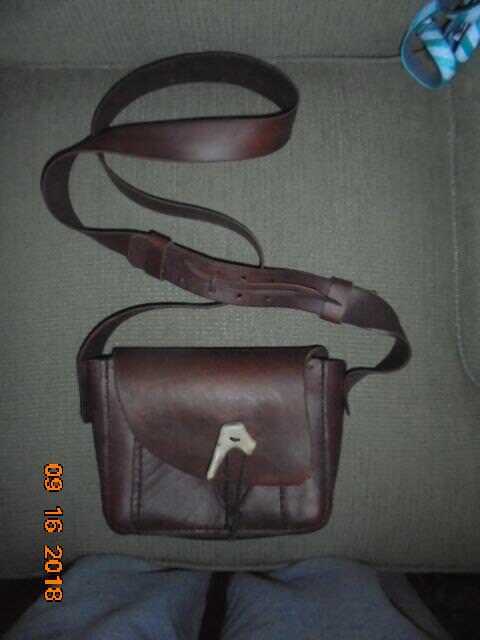 What's the main use of the bags, like for a small day hunting bag? A lot of butter, Roy. Yeah, B. The things you need for a day's hunt. Water bottle, snack, license, whet stone, bug juice, wind indicator powder, camo paint, etc, etc, etc. Maybe your favorite hunting knife. Yep makes sense. You got me thinking I need simplify my hunting backpack and just take one of these. I'd rather have one of those sculpted butter cows from Wisconsin.